Decorate for holidays or other events! 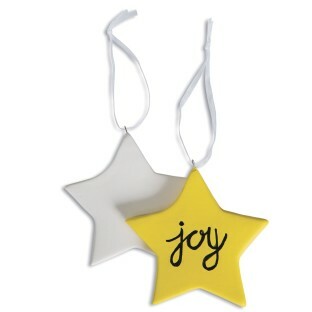 Decorate this ceramic bisque ornament for holidays or other events! Ornament comes with ribbon attached for hanging. We recommend using paints or permanent markers to decorate! Decorating supplies sold separately. Ornament measures 3-1/4” across not including ribbon. Note: We do not recommend glazing and firing this item due to the metal ribbon hanger, which is embedded in the clay.